Each month Community Bankers Association of Georgia (CBA) designs promotional items to help member banks celebrate different aspects of Community Banking! We offer themed promotional materials to use for your website and social media channels including banners, profile frames, square overlays, hashtags, quotes and facts. 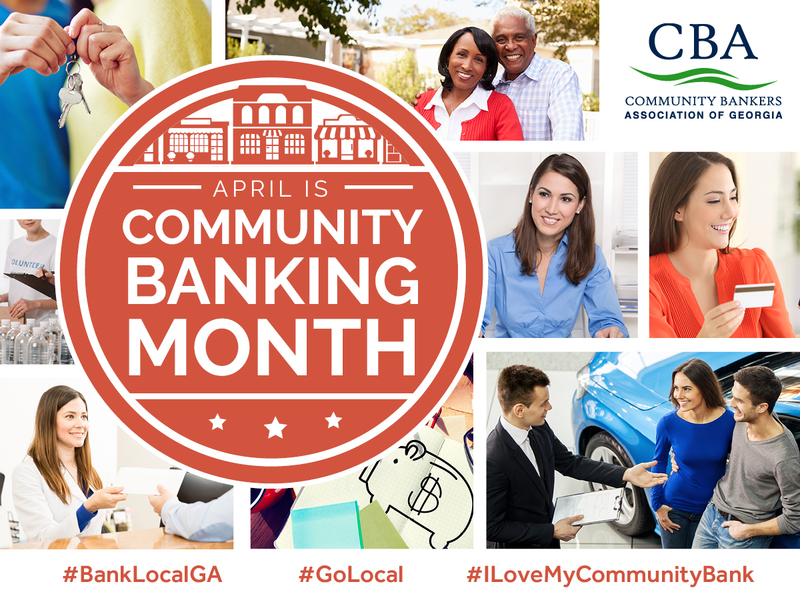 Every year, CBA distinguishes April as Community Banking Month recognizing the unique spirit which makes community banks the foundation of their communities throughout Georgia. Participating in Community Banking Month gives you the opportunity to highlight all your bank does to benefit your community. Every year Community Bankers Association of Georgia (CBA) designs promotional items to help member banks celebrate Community Banking! Participation in this excellent advertising campaign will help boost your public relations image and prove your bank is an important foundation to your community. This recognition of America's local banks is establishing itself as a strong tradition in the community banking industry. Now is the time to begin planning how you will show appreciation to your loyal customers and demonstrate the importance of community banking to the public. CBA hopes you will join the nation in showing off the spirit and love for your community and participate in this year's Community Banking Month! For more information, please contact Jeremy Thomens. 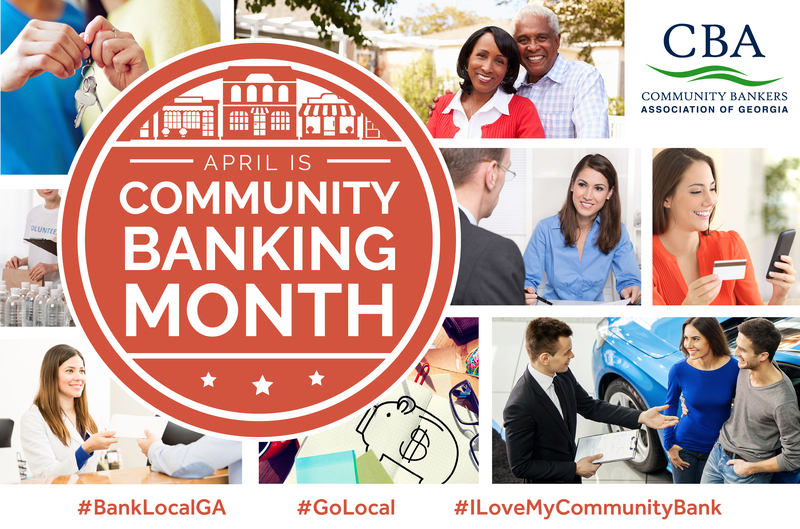 Join in the fun on social media by using the hashtags #BankLocalGA, #GoLocal, or #ILoveMyCommunityBank, we can share your posts and give others ideas on how they can also celebrate community banking! Again this year, CBA is offering promotional materials to use for your website and social media channels! Have your bank show your appreciation for your local customers by using these banners and headers.